According to Traditional Chinese medicine (aka TCM). We all get skin rashes from time to time, and as annoying and itchy as they can be, the confusion they cause by popping up as unexpectedly as they do is often the most aggravating part of having them. Whether it takes the form of bumps, red spots or dots, or an itchy or non-itchy rash on the skin of your neck, face, chest, or other areas of your body, there are reasons you may experience these skin conditions that Traditional Chinese medicine (TCM) can explain and provide solutions you'd probably never find when you're searching the web for similar reaction images. Eastern medicine's understanding of and approach to skin conditions and various types of rashes we think of in Western as a stress rash, allergic reactions, and sun rush can possibly provide you with physical and emotional relief. So here are 5 reasons you may be finding bumps or red spots in the form of a skin rash you've probably never thought of before, as explained by TCM. You may be wearing your heart on your skin! 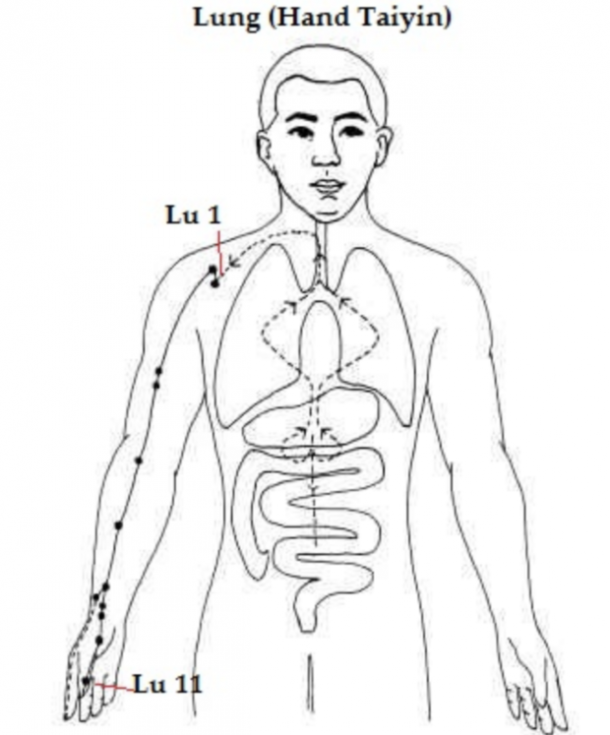 In Chinese medicine, problems with the hair and skin are governed by the Metal Element, which is composed of two energy channels in the Meridian System — the Lung (hand taiyin) and the Large Intestine (hand yangming). Grief is held in the Lung Meridian. And an inability to let go emotionally is an aspect of the Large Intestine Meridian. When these Meridians are either over-energized or under-energized, the physical expression can be a rash. Common skin rashes that might result include rashes due to allergic reactions, dry skin, eczema, psoriasis, and contact dermatitis. When overactive, the Fire Element can cause rashes. Think hot flashes. The body’s stress response begins in the Fire Element, and hot flashes are a great example of a flare up in the stress response. For example, a woman recently came to see me because she was depressed. She moved and spoke slowly, with a low soft voice and a heaviness to her energy. Her Fire was completely out, and she had lost her spark. We reignited the element of Fire by tapping into the electrical energy of the body, after which she left looking much more awake than when she arrived. A day or two later she texted me to ask if it was normal for her to have broken out in a rash across her chest. My answer was yes, absolutely! Rashes like this are temporary, and serve as a good sign that the body is once again moving energy, clearing toxins and waking up a sleeping Fire Element. On the other hand, a chronically overactive Fire Element can also cause chronic rashes or periodic skin rash flare ups, which I will explain further below. 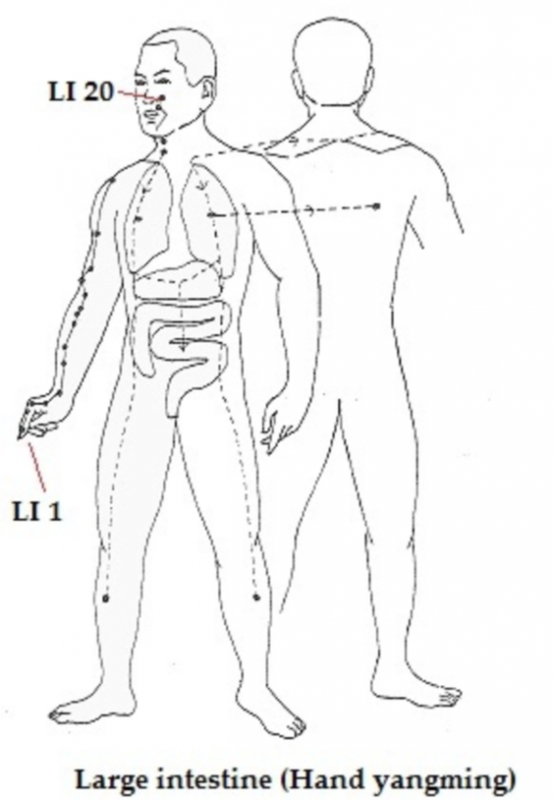 The electrical energy in the body is referred to as the "Electrics" in Eden Energy Medicine. Every cell in the body holds an electrical charge, and the Electrics as a system communicate throughout the body along pulses of electrical activity. Our feelings, memories and thoughts are all encoded into these tiny pulses and held in patterns. When the Electrics are out of balance, the effect is similar to crossed lines or short circuits in the electrical wiring of a house. This can manifest in a variety of ways, and skin rash turned out to be how it manifested in another one of my clients. This client had been suffering from body temperature regulation issues for years, and they were severely limiting her activities. She could not exercise outside, sit in plastic or vinyl chairs or near lamps or wear certain fabrics. She would overheat quickly and immediately develop rashes in certain areas of the body. Western medicine was of no help, so she looked to energy medicine as an alternative. We rebalanced a variety of aspects of her body's energies, and reached a turning point by restoring balance to the Electrics. Her rashes stopped and her temperature regulation returned to normal. At her last visit, she happily reported that she was exercising outside again and loving it! 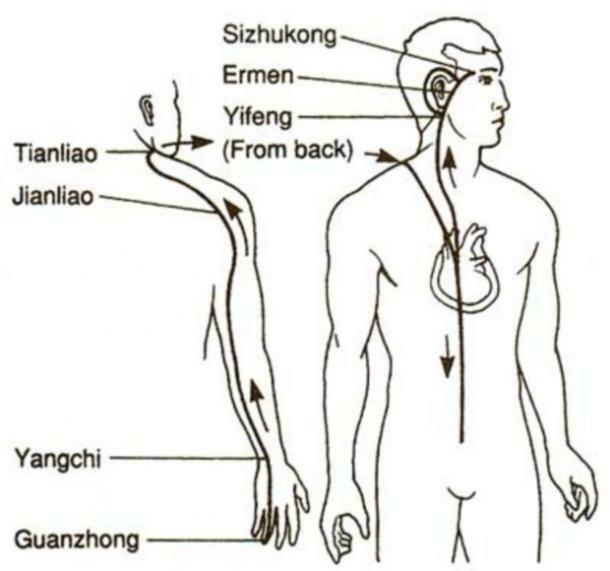 Your body’s stress response is governed by an energy Meridian known as San Jiao (三膲) in Chinese, which "has been translated as 'triple heater', triple warmer (or three warmers), and 'triple burner'", and which also governs the immune system. Rashes are often associated with a stress response in this system. For example, hives are a common manifestation of a Triple Warmer reaction. The stress response can be triggered by a variety of things, including an acutely high or chronically high stress level or a reaction to a substance you have ingested or come in contact with. These reactions are generally categorized as allergic reactions. 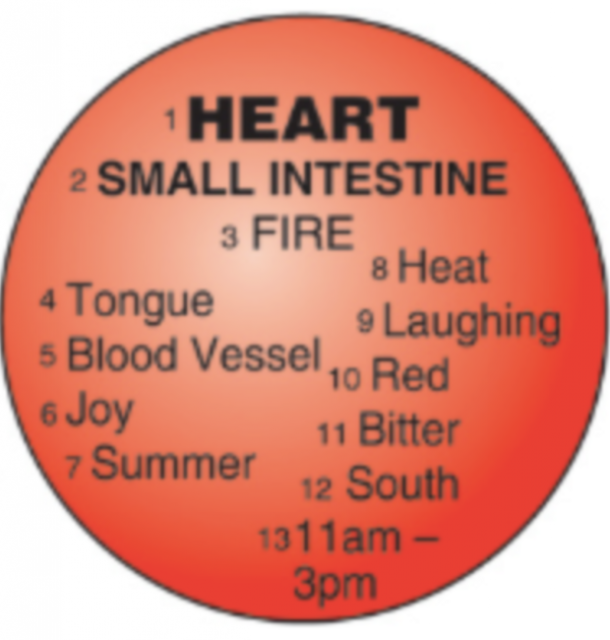 Imbalances in the Elements of Water, Wood, Fire, Earth and Metal manifest as physical or emotional problems that correspond to the Meridians in each particular Element, and skin rashes are the domain of both Metal and Fire Elements. Elevated stress will inevitably exacerbate existing imbalances, because a spike in stress level will pull the entire Meridian system out of balance. This means that if you have a chronic imbalance in your Metal or Fire Element, you could have a tendency to experience skin rashes when stress gets high. In order to determine whether you might have a chronic Metal or Fire Element imbalance, check out this short list of symptoms. Important note: While this list is by no means comprehensive, it will give you a sense of what to look for. If you recognize any of these symptoms in yourself, the next step is to work with a practitioner of Eden Energy Medicine or Chinese Medicine to test for imbalances. The good news is that you can often easily correct an energetic imbalance, and in doing so, rid yourself of these symptoms without the need for medication. Paige Apgar is an Eden Energy Medicine Advanced Practitioner and a Certified Transformational Life Coach who works with clients over Skype and in person to help them reclaim their vibrant, healthy glow and connect to their soul’s purpose. Find out more about her work with Energy Healing by visiting her website or contacting her via email.